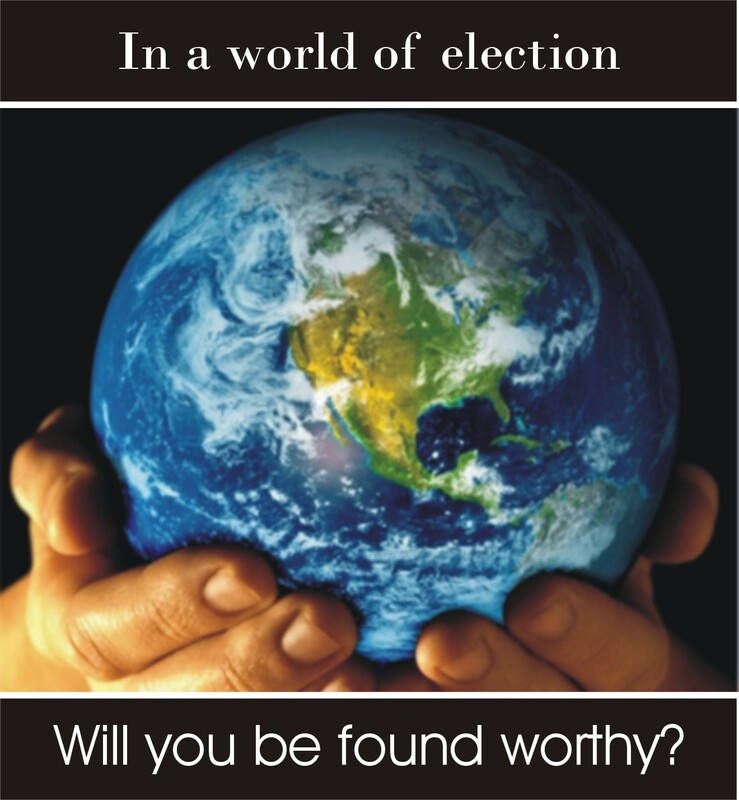 Are you worthy in the world of election? 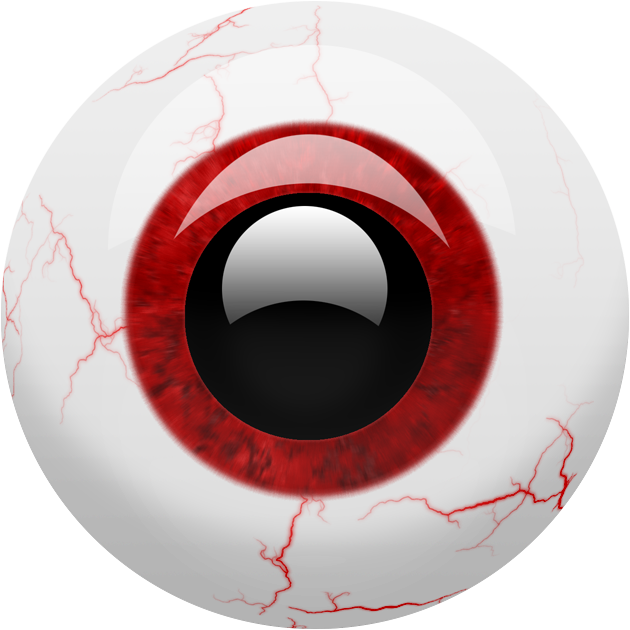 glasseyedave	. election	. Arminianism, Bible, born again, Calvin, Calvinism, Calvinism’s heresy, election, eternal security, faith, God's election, God's sovereign will, God’s sovereignty, Hell, heresy of Calvinism, holiness, irresistible grace, New Testament, predistination, repent, rightouseness, Saved, sin, The Bride, The Bride of Christ, the church, The gospel according to the gospel, The Gospel the church refuses to believe, who are the elect? Many teach that God in His election has chosen men to receive salvation and others He has chosen not to receive salvation. They teach that those men who have been elected have God’s irresistible grace which they can not refuse. They must and will become saved, there is no choice about it. Those who were not elected have no choice but to go to hell, since God never gave them the invitation in the first place. Funny thing though, Jesus’ theology doesn’t match the theology of these teachers. Jesus taught that people were bidden, called, elected to come to the great wedding supper of the Lamb but were not found worthy. Why were these people not worthy? Why were they invited in the first place if they were not worthy? If the Calvinist understanding of election is true, then why did they get the invite in the first place? They should have never been invited according to Calvin. Was there unworthiness a condition of election only or was it something involving free will on their part? It couldn’t be from election for what corruption does God impute to man in election? Jesus sets up the story by telling us that a king’s son is getting married and to call those who were invited to come but they would not come. We see from the story those who were called to come refused to come. If God’s election, His grace is irresistible and no man can refuse His sovereign will, how is it those called, those invited refused His election, irresistible grace and His sovereign will? Not only did they refuse Him once they refused Him again! A second sincere invitation was sent, but Jesus tells us of these people they made light of it. They made light of His calling, they made light of His electing them to come. They were not compelled to behave contrary to their own free will and they rejected the invitation. Apparently God’s sovereign will is not as the Calvinist describe. They teach that God’s sovereign will no man can resist. But Jesus is describing to us not just a single rejection but two. These twice call, twice elected to come are described as making light of the invitation. And who were these that were called? Who were they that were elected to come? Who were they that demonstrates the Calvinist doctrine of irresistible grace is a lie? Who were they that turns the Calvinist doctrine of God’s sovereignty on its head? They were not just a group of people on the fringes, they were the remnant! The chosen people of God refused Him and mistreated His servants and killed them. The people of God that were under the covenant to be the people of His calling and election did this. Those to whom it was said they would be His people and He would be their God did this. Jesus doesn’t describe those who were not elected, as the Calvinist do, who are the ones to receive wrath. He describes that wicked remnant as those who receive wrath. We need to ask ourselves in a world of election, were God has called every one to come, will we be found worthy? Will we make light of the same invitation to come to the wedding feast of the Lamb? Will we be to busy to really walk with the Lord? Do our schedules keep us to busy to read our bibles and seek out God in prayer? Have we been so stuck in the rut that we feel cold or yet worse, lukewarm in our walk with God? We may not be those who kill His servants, but do we make light of the invitation by its not being a high priority to us in our daily lives. Who will be found worthy in the world of election? If you are a believer, if you are part of the remnant and you rest your hope on irresistible grace and God’s sovereign will to see you into His kingdom, you hope in a vanity. Jesus Himself shows us this. 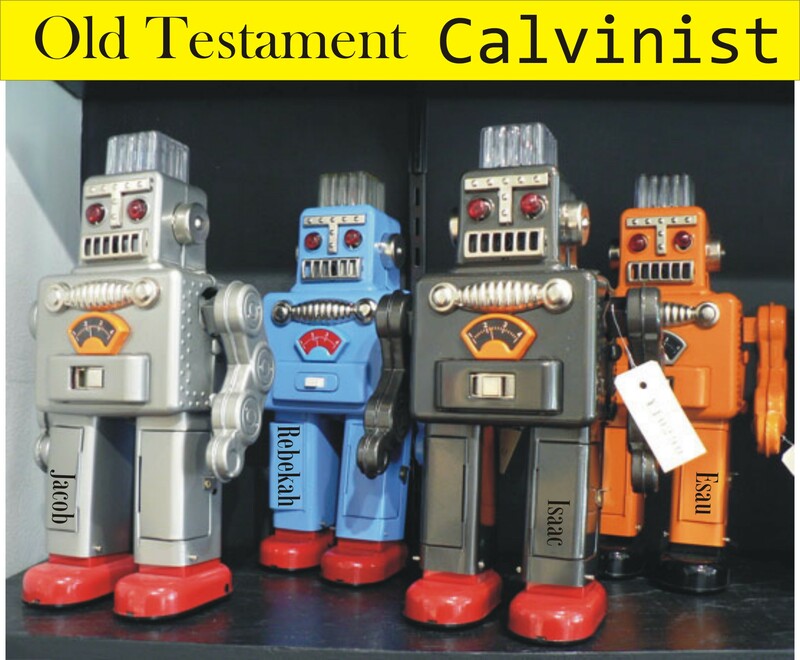 Will you trust the words and teachings of Calvin or will you listen to the one you call savior? No matter how I look at it, it looks the same, Christ died for all men. I have been having a conversation that I think is worth noting. It is from my irishanglican who is a friendly antagonist of mine. We were discussing Calvinism point of view that only a select are chosen to be saved. I will give his address to me first then my reply. I would like to know if you think there is more evidence for my friends position or for mine and why? Thank you for the reply and not a quote. It means a lot to me. I whole heartedly agree with you that we are bound to disobedience, sinful nature if you will, so we can be shown God’s mercy. Again scripture shows us the desire of God’s heart towards us in that we can participate in His incomparable riches of His grace for His good pleasure alone. (Eph 2:6-7 NIV) And God raised us up with Christ and seated us with him in the heavenly realms in Christ Jesus, in order that in the coming ages he might show the incomparable riches of his grace, expressed in his kindness to us in Christ Jesus. So I say, amen brother. I agree again, whole heartedly that not all men will be saved. In fact many on the narrow path will not be saved. Those who remain on the wide path are doomed already, but many on the narrow path are doomed to0. It is not good enough to be on the path, we have to enter the narrow door. (Luke 13:24 NIV) “Make every effort to enter through the narrow door, because many, I tell you, will try to enter and will not be able to. It is the blanket of grace that we don’t see eye to eye on. Is it a blanket that covers all mankind or is it only a few that it covers? Another way to ask it, is the blanket determined only by those who cover themselves or is it what it is, no matter who does or doesn’t cover themselves with His grace? Your first verse quoted says that God has handed us all over to disobedience so that He may show mercy. This we agree on. But is it to all or only those who, through free will or not, receive it. Your Bible and mine says that He may show mercy to all. We know that all are bound to sin no matter who we are and were and when we lived. I think we agree this is universal to all mankind. So how are we to assume that God wanting to show mercy to the same “all” in the same sentence is anything but a universal concept? I know you know or know somebody that knows Greek. Is the word “all” as in disobedience the same Greek word for ‘all” as in God showing us mercy? Or is the better translation from the Greek to be the word elect, chosen, remnant? This is why I advocate what is in plain language. All means “all” which does not contradict God reconciling the world (all) to Himself. (Col 1:19-20 NIV) For God was pleased to have all his fullness dwell in him, and through him to reconcile to himself all things, whether things on earth or things in heaven, by making peace through his blood, shed on the cross. The scripture you used is consistent with another verse that speaks of the universality of sin through one man Adam. It also speaks of the justification to “all men” through the new Adam who is Christ. Two universalities in one concept and one sentence. Or is something hidden in the Greek? (Rom 5:18 NIV) Consequently, just as the result of one trespass was condemnation for all men, so also the result of one act of righteousness was justification that brings life for all men. We have the confirmation that God justifies all men and brings life to all men again when scripture says, in plain language, that God through Christ reconciled the world to Himself, not counting men’s sins against them. (2 Cor 5:19 NIV) that God was reconciling the world to himself in Christ, not counting men’s sins against them. And he has committed to us the message of reconciliation. This is why I believe Christ is the savior of the world, that He died for the sins of the world, that He took upon Himself the sins of the entire world. To me the question isn’t the blanket of His grace for plain language says it is for all men. What needs to be understood is God’s election. What do you think, is there an example we have in scripture of God’s election? (Rom 9:4-5 NIV) the people of Israel. Theirs is the adoption as sons; theirs the divine glory, the covenants, the receiving of the law, the temple worship and the promises. Theirs are the patriarchs, and from them is traced the human ancestry of Christ, who is God over all, forever praised! Amen. As an honest question to you, what example do they serve to us in election, since we are grafted into them and not they into us? So what do you think? Did Jesus die for the sins of all men or only a few? No matter how I look at it I see that He died for all mankind. What fits better a square peg in a round hole, or a round peg in a round hole? Of course everyone knows it is a round peg for the round hole. There is a scripture that I consider a round hole that some are trying to put a square doctrine into, simply because we have not acknowledged the truth of God’s covenant with our father Abraham. I believe the doctrine presented here at The Gospel According to the Gospel is the round doctrine for the round hole. Scripture teaches us that the Lord almighty is no respecter of persons. He does not hold one higher than another and we are the same to Him. Just as an earthly father should not love one child more than the others, God does not. God does not value one of us over the other, we all have the same value to Him. Even though scripture explains this to us, some like to teach that God is a respecter of people and has elected only some of us for salvation. The others, well you know where they can go. This is the square peg that they are trying to shove in a round hole. But what fits better, do you think, the doctrine that God has elected some and not others or that God is as scripture says He is. That He has treated all men equally. Ironic isn’t it that we say God has created all men equal, yet the doctrine of Calvin teaches that God in predestination did not create all men equal. Some are destined for this and others doomed for that. I am glad the founding fathers look at scripture and not to Calvin to found the greatest country the world has ever known. Here at The Gospel According to the Gospel I advocate not only the point God treats all men the same, I back it up with the example given to us concerning Abraham and the covenant God made with Him. 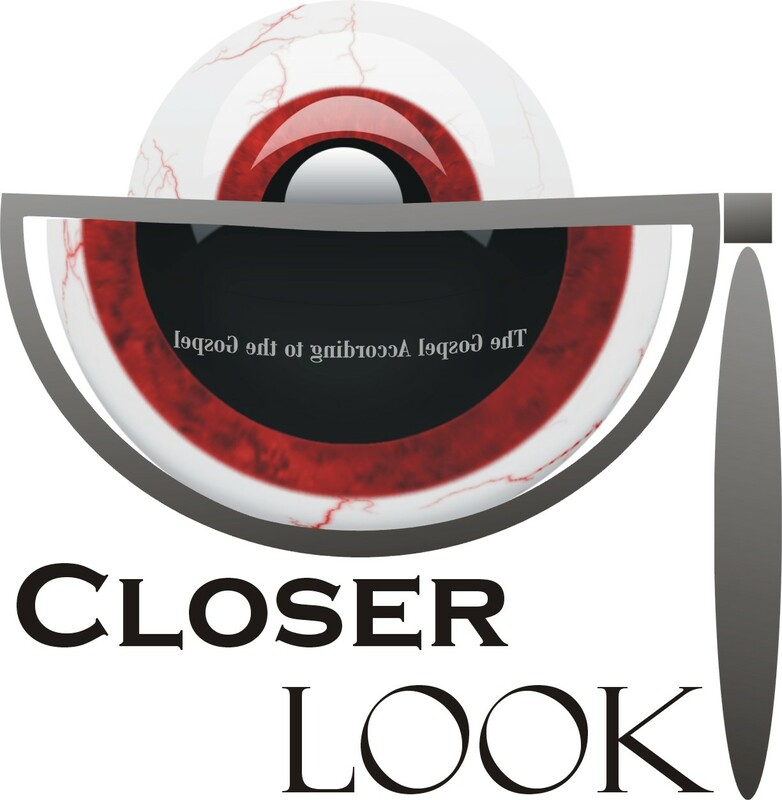 This round doctrine for the round hole has amazing impacts on how we see our own world today in light of this covenant. The round doctrine is God imputing to Abraham righteousness, a righteousness that he did not deserve. Like we Christians brag of today, a righteousness not our own was imputed to us. Receiving the sign in his flesh of the righteousness the Lord had imputed to him, he was commanded to circumcise all males and this was to be a lasting covenant. All males received in them the same seal of imputed righteousness. In fact if anyone did not receive this seal of imputed righteousness in their flesh they were cut off. Not because they did not obey some do and don’t rule of God, rather because they broke His covenant that sealed the people in God’s righteousness that He was crediting to them. So what is the example we see in the covenant God has given to our father Abraham? We see that in the people of Israel that truly God is no respecter of persons. All were under the covenant that God gave to Abraham. He did not predestine the descendants of Abraham with some to be outside this covenant and others in. His plan was for all the people, if only they would accept Him and His covenant. This is no different that the good news we find in out New Testament when it says we gentiles now share in the blessings given to Abraham through Christ. Now through Christ God has reconciled the world to Himself. In doing so he has offered the whole world of sinners, not just sinners of the people of Israel His covenant in Christ. Through the rejection of this covenant God has reconciled the world now to Himself in the same covenant of righteousness through Christ. This is God demonstrating to us that He is no respecter of persons and this is the round doctrine fitting into the round hole. All me are equal before God and His invitation is open to all. The question is, will we accept Him and His covenant that God has made with Abraham and has now extended to us gentiles. I have been having diologue with several Calvinist about is it faith or is it works that saves us? James says it is not by faith alone that we are justified. But Paul says exactly the opposite. I gave the challenge to the Calvinist to reconcile the two without ignoring the other. I hinted the answer is found in the covenant God made with Abraham. That is unless scripture speaks of two different Abrahams. Go to the tab The Debate Rages and select link #5 and skim down till you see the class eye, or read the whole thing.